Count Down for Wedding Has Been Revealed! 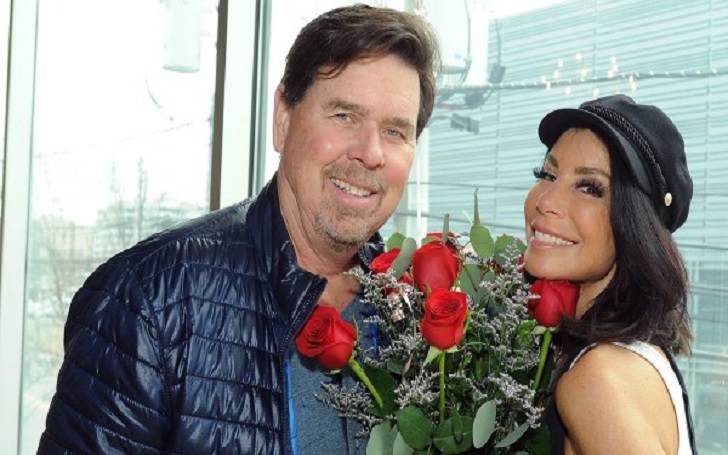 A strong source exclusively told media that Danielle Staub is “planning a June wedding”. The 55-year-old Real Housewives of New Jersey star and her fiancé, Marty Caffrey, are have reportedly been looking for locations in New Jersey and Montauk, New York. She’s deciding between the two. She really wants a beachy vibe at the wedding. In May 2017, multiple sources confirmed that Danielle and Marty became engaged shortly after their celebration their first anniversary as a couple. The 55-year-old reality television star, who had been engaged a whopping 19 times before the couple's latest engagement, was previously married to Kevin Maher, a former FBI informant, from 1986 to 1987. In addition, he was also married to a businessman Thomas Staub from 1993 to 2007. They share two daughters Christine and Jillian together. The engagement was simply beautiful. He is such a gentleman. Danielle’s soon-to-be husband surprised her with some early Valentine’s Day gifts while taking a lesson at the Dance With Me studio in Fort Lee, New Jersey, on Monday, February 12. He brought flowers, chocolates and a stuffed puppy dog.